Like a lot of men and women around the world, you may be dissatisfied with the size of your tummy. If you have tried changing your diet and exercising regularly unsuccessfully, a tummy tuck or abdominoplasty, may be the solution you need. Abdominoplasty is a cosmetic surgery that is designed to remove excess body fat and skin from the lower or middle abdomen to help tighten the abdominal walls. People who lose too much weight suddenly end up with excess loose skin. Also, women who lose a lot of weight after delivery are likely to notice saggy skin. There are signs that indicate you are a good candidate for the body contouring procedure to help you achieve an optimal outcome. The right exercise and diet have a high potential of eliminating excess fat around your abdomen, but will not help with the outstretched skin from significant weight loss. Once the skin around this area loses its elasticity to keep up with the new shape, the outer skin tends to sag and become loose. When the skin becomes lax and stretches out, getting rid of the fat will not fix the problem. With a tummy tuck, the surgeon will create sizeable incisions at the hips to get rid of the excess skin. If you do not have sufficient excess skin, the procedure may cause tension in the scar, and this could lead to a stretched look. The skin left behind is then tightened and contoured over the muscles of the abdomen. There are partial and full tummy tucks available for candidates, therefore, if there is only excess skin in the abdomen area, you qualify for a partial procedure. You may have separated or weak abdominal muscles during pregnancy, and this could result in a stomach pooch. Physical exercise may restore the abdominal wall but not solve severe cases of separated abdominal muscles. If you find your abdominal muscles resistant to exercise, an abdominoplasty will address the problem. During the procedure, your abdominal muscles are repaired to achieve a flatter abdomen. A surgeon can separate fat and skin from your muscles. The expert will then pull the muscles together for a firmer and tighter outcome at the midline. Tummy tucks are low-risk procedures. However, if you have a serious medical condition, you should not undergo abdominoplasty. During the procedure, you will be sedated with anesthesia, meaning your lungs and heart must be in the right condition. Understand that autoimmune disorders are highly likely to cause major problems with the healing process. If you have, in the past, noticed scars on your skin or raised scars, be sure to mention it to your surgeon before the procedure. A good candidate anticipates achieving a good figure for well-founded reasons. It is vital to understand that despite tummy tucks being great solutions to achieving the perfect appearance and boosting confidence in candidates, they are not weight-loss solutions. Such people trust that the advice given by a professional surgeon should be followed. For instance, if you have not yet achieved your target weight, you do not qualify for a tummy tuck. Also, if you still plan to have more children in the future, the procedure is not ideal. Most people choose to combine tummy tucks with liposuction for better results. Well, if you choose to combine the two, you get to achieve a more defined and smoother appearance in the tummy area. A tummy tuck is less likely to interfere with your ability to get pregnant again, but you will still require another procedure after your next delivery to contour your abdomen once more. You also have to be within 15-20 pounds of the weight you want to ultimately achieve. There are patients who lose some weight after the procedure has already been done. However, if you end up losing up to 30 pounds, you still end up with sagging muscles and excess skin, requiring another procedure. Be aware that it takes time to heal completely after the surgery and results are achieved slowly as the healing takes place. The candidate can only maintain good results by sticking to the right diet and maintaining a regular exercise schedule. If you know you are committed when it comes to exercises, then you are an outstanding candidate for a tummy tuck. Consult with a certified cosmetic surgeon to confirm that you are physically, medically, and socially fit for a tummy tuck. 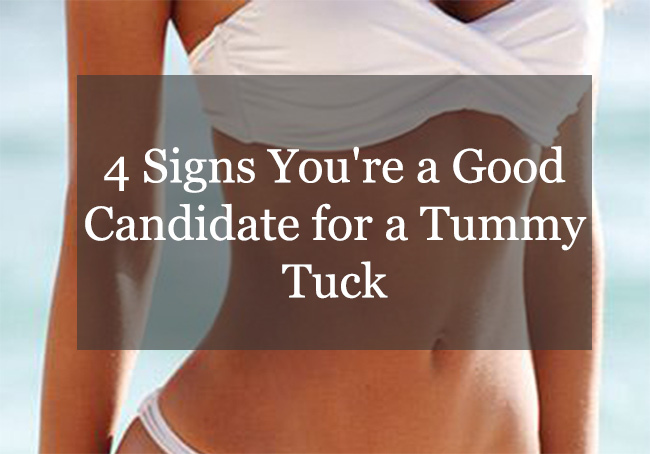 The best way for you to determine you are a tummy tuck candidate is by talking to an experienced surgeon. Dr. Kevin Lin, MD is a University of Toledo graduate who believes in assisting his patients to achieve their perfect bodies. The passionate and detailed Dr. Everett offers the safest procedures that are meant to help patients achieve their aesthetic goals. Dr. Christine Blaine is a caring surgical expert who listens to the concerns of her patients to ensure that the outcomes of the surgical procedures are inclusive of all their wishes. After graduating from the George Washington University in Washington, D.C, Dr. Ghersi spent time in various foreign countries, working with numerous experts and polishing his skills. Dr. Altman topped his class at the State University of New York and is a double-certified surgical expert who specializes in revising the results of patients who are unsatisfied with previous procedures. You can schedule an appointment by contacting Doctors Plastic Surgery with offices in New York and Chicago. Click here.